Exciting young sire whose first sons sell in 2017. 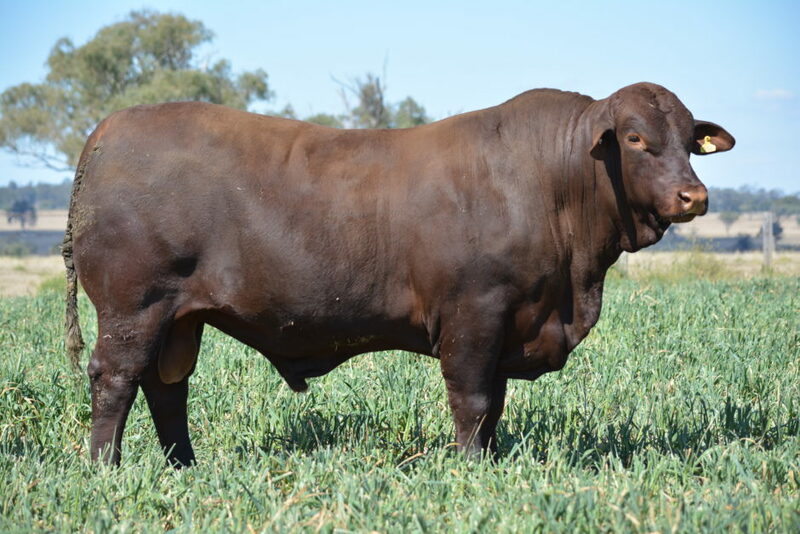 Eye-catching balance that makes his progeny stand out in the mob. Sire of Majestic M176(P) – Grand Champion Bull 2017 Santa Gertrudis National Junior Show. High growth, extra finishing ability and quiet temperament are features of his calves.